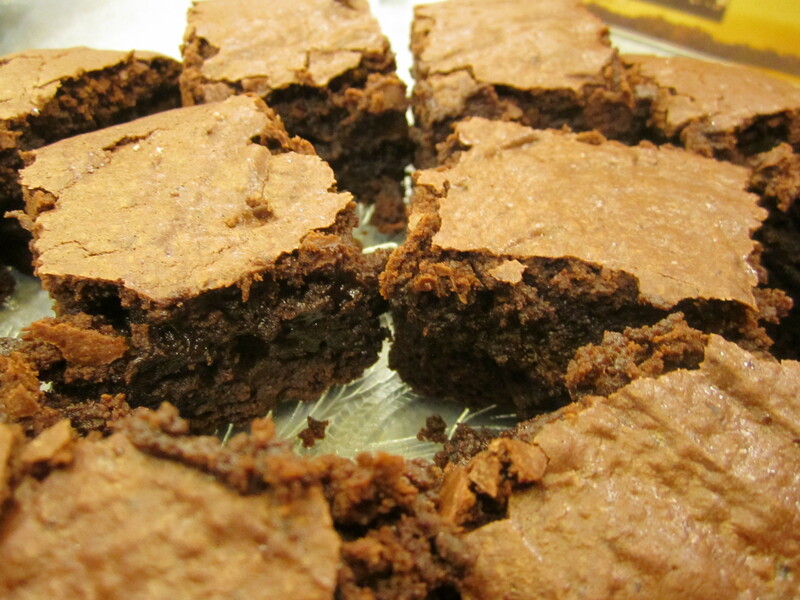 So if you’re feeling daring, I highly recommend these brownies. They’re a delicious, deep-flavored treat that just so happens to have some beans mixed in. Preheat oven to 350°F. Line a 9″x13″ baking pan with foil and grease with cooking spray. In a double boiler (or put about 1 cup water in a sauce pan, simmer and top with a heatproof mixing bowl), place butter, semisweet and unsweetened chocolate in the bowl over the hot water. Stir frequently until mixture has melted completely. Remove bowl from heat carefully and set aside to cool slightly. In a small bowl, sift together flour, cocoa powder, baking powder, and salt. In a food processor (or a magic bullet works great! ), puree the beans. Add the vanilla to the beans if you need some liquid to get it going. Whisk in the eggs and egg whites into the chocolate mixture one at a time until mixture is glossy. Whisk in the sugar. Whisk in the pureed beans and vanilla. Add the dry ingredients, all at once, to the chocolate mixture. Use a spatula and fold to combine. Once fully incorporated, pour the batter into the prepared pan. Bake for 44-48 minutes until a toothpick inserted into the middle is mostly clean. The brownies will continue to cook as they cool in the pan, so you want to take them out when there’s still some batter on the toothpick.